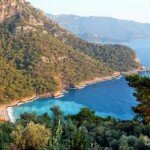 Well, think it’s about time we had another of our Fethiye updates. It feels like a long time since we did one of these round-ups – we’ve had so many friends over to visit this summer and our final visitor left a few days ago. We do love our summers and catching up with events from their lives back in the UK but now we’re loving our time, too. Normal daily life is a happy novelty at the moment; bobbing to the DIY shop to measure up for under-bed storage boxes and wandering the aisles looking at not very much in particular. All of a sudden, we’ve got hours in our days, the autumn sunshine is at pleasant temperatures, we’re walking, running, cooking. Yeah, we’re now happily geared up for winter. So, what’s been going on recently around our hometown? Well, a bit of a double whammy with this photo. Friends who came over to Turkey late summer were (not very) blessed with some wet and stormy weather – in fact, one group of friends only got two days without rain in the whole week they were here. Luck of the draw and all that – and the beautiful aspect of storms in this part of the world is that the sun often shines soon afterwards, gracing us with rainbows. We just loved this double rainbow which appeared momentarily at the end of September. Don’t forget, we have a dedicated page where you can always keep an eye on the weather in Fethiye and the wet weather also prompted our recent blog post about how to survive Fethiye in the rain. And, as for Phase 3 of Fethiye harbour, you can see for yourself in the rainbow photo. A flurry of action saw the whole stretch from Denizatı Restaurant to Reis (the lighthouse cafe) turfed, and, in sections, sprinklers fitted, too. All go…slowly, slowly. Anyway, we’re very much enjoying the green look. The 16th International Ölüdeniz Air Games took place in October, and, as often seems to be the case these days, there was much dodging of stormy weather, with heavy cloud preventing many take offs from the top of Babadağ. A quick look at the weather forecast showed us the first day was looking the sunniest so we took ourselves off to Ölüdeniz for that. The Air Games is a great event for the end of the season – we’re even treated to displays by the Turkish Stars in some years – and the first day was a fun show of acrobatic paragliding, formation paragliding, hang gliders and skydivers. Much looking up to the sky, neck ache and photo taking! 29th October in Turkey is Cumhuriyet Bayramı (Republic Day) and this year was Turkey’s 92nd anniversary. As you can see above, we did our acknowledgements on our Facebook page and other social media outlets. In Fethiye, there were commemorations at Fethiyespor’s stadium by school children and the local brass band. If you’re interested in the goings on for Cumhuriyet Bayramı in Fethiye, here’s a short video you can watch on Facebook from Thursday’s events. 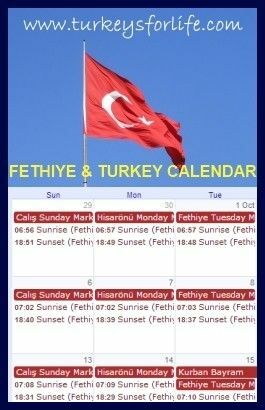 Whenever you’re in Fethiye, you can keep up to date with any events like this by following our events calendar. We update it whenever we hear of anything different taking place. Well, it’s the usual mixed bag of brilliance (for League 2 levels) and what-on-earth-is-going-on, but, as the season progresses for Fethiyespor, things seem to be getting more settled in a positive way. Bar a small handful of players who chose to stay, Fethiyespor were a new squad at the beginning of the season, and, slowly, slowly, things are starting to knit together. The photo above, from our Instagram account, was taken at the match against Bayrampaşa on the 24th October. Wow, was this Fethiyespor we were watching? Perhaps the best match we’ve watched them play, including when they were in League 1! This free kick gave them the one goal. There’s still a bit of a scoring (or lack of) issue at the moment but if we keep playing well, the goals will come. Eternal optimism, you see! You can keep up to date with the team by following our previous scores and future fixtures and also our League 2 White Group League table. This includes a list of all Fethiyespor’s goal scorers, too…we’d like to be kept busier with that list! 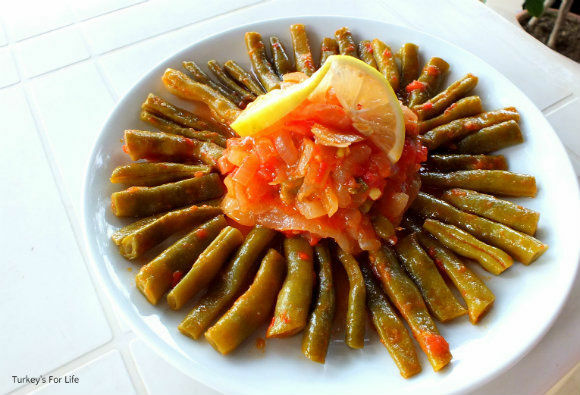 Now we’ve got our dedicated Turkish recipes page where you can easily access our little culinary creations, and, now we’re in that winter mode, too, we’ll be spending more time at the little worktop that passes for our kitchen. And as for eating out, a friend’s birthday took us out for our favourite lamb şiş kebab at Mozaik Bahçe. We’ve grabbed quick kebabs from Yengen en route to meeting friends – and Denizatı Restaurant has been the venue for another friend’s birthday meal as well as a fab seafood meze that we’re looking forward to repeating sometime soon! I’m always amazed by the number of events taking place in your area. 🙂 Those green beans look marvelous! Glad to be back and catching up too. About time The Turkish Stars had another trip around the coast. I like how the green beans are arranged like Hamsi 🙂 The double rainbow is freakish and beautiful!